I’m a single parent with 3 amazing and beautiful daughters. There’s never a dull moment in our home. I recently graduated from college with my Associates and plan on going back to complete my Bachelors in Organizational Leadership. We have 3 fur babies aka the boys. They are our beloved cats that have become a beautiful stain on our hearts. We just love them. My biggest accomplishment to date is graduating from college. It has taken me 20 years to finish school, plus a lot of student loan debt. However, I feel fortunate to have reached my goal and my daughters were able to witness such an occasion. I feel my accomplishment has set a standard and given them the confidence and motivation to follow their dreams and meet their goals. I have purchased the eCertificates. They have been a blessing in disguise. I have been able to use them as fabulous gifts for my children and my mother. I’ve also been able to treat myself. I live on a fixed income. I take pride in being able to give my children the things I did not get as a child. 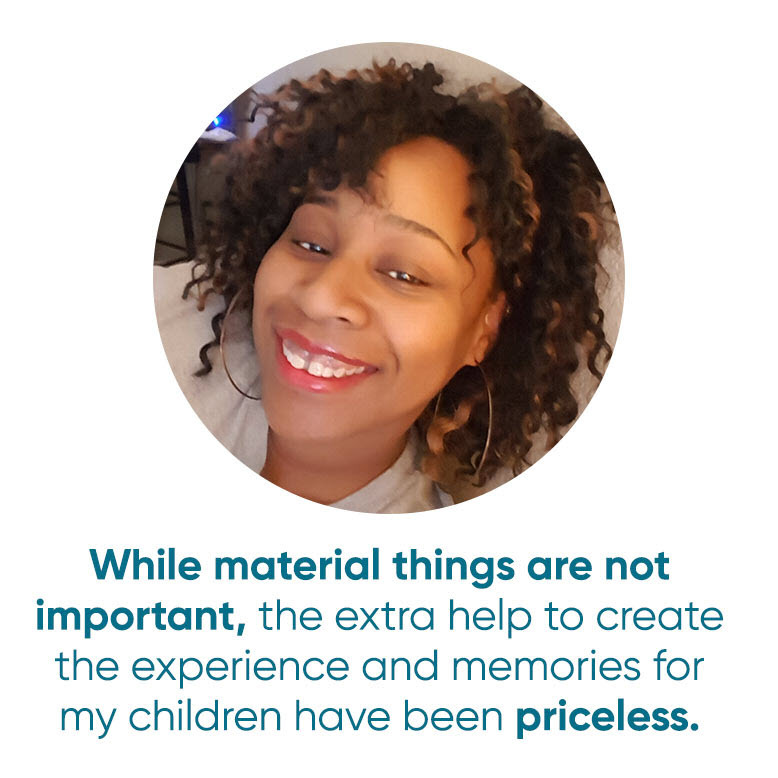 While material things are not important, the extra help to create the experience and memories for my children have been priceless. Not only is this program beneficial for single parents, it’s beneficial for college students, retirees, and anyone who needs a hand up. I am so thankful to have Zebit put their trust in me to prove that I am a trustworthy customer. Use Zebit as a tool to guide you into repairing your credit and replacing a bad habit of not paying your bills, to a good habit of rebuilding your credit. Kambia was given $50 Sephora eCertificate for being selected as a spotlighted member.